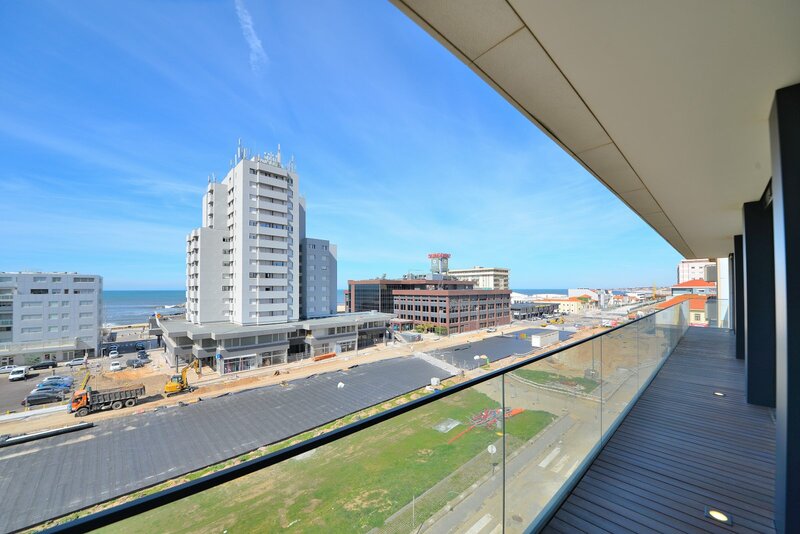 Superb, modern top floor 4 bedroom apartment with magnificent sea views, located in Espinho, Porto with large balcony, stylishly decorated and beautifully presented. 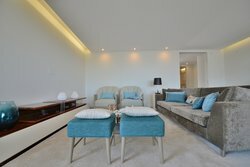 Only 150 metres from the beach, casino and all amenities and with underground garage space for 4 cars. This impressive new property has bright and airy, spacious open plan accommodation comprising inviting entrance hall, large lounge and dining area, modern luxury kitchen, 4 bathrooms, laundry and ample storage. It is comfortable and has many unique features including air conditioning, solar panels, alarm system and stunning views from the balcony, is built to a high specification with high quality finishes. Portugal's second city, Porto is a city on the rise, tempting travellers with its pretty old town, excellent wine bars and golden rooftops. It is rapidly developing into a respected tourist destination and with the increase of low cost flights it is becoming a popular alternative city break destination. The airport is situated 16km from the city centre, with a regular metro link from the airport to the centre that takes around 30 minutes. Portugal's second city Porto, traditional Portugal at its finest without the crowds of Lisbon. The rambling old town forms the heart of the city, with beautiful buildings adorned with tiles and sloping, cobbled streets. The Douro river underlines the city, with Vila Nova de Gaia just over the bridge. While property close to the river has always proved popular, the centre is now being rediscovered by both tourists and property investors. Porto has its own airport "Francisco Sa Carneiro". The airport is located 11 kilometres north of the centre of Porto. The airport has excellent onward transport connections whether by bus, tram or car. It is connected to the city centre by the metro line with a regular service from 6.00 to 01.00. Porto has quite moderate temperatures all throughout the year, making this an ideal place to visit at anytime. Igreja de São Francisco – Far more than a Gothic church, the unique Baroque style interior design of the Igreja de São Francisco makes it the most prominent Gothic monument in the entire of Porto. We recommend visiting the Igreja de São Francisco to witness the sheer extravagance of the church's ceiling, walls and altarpieces. River cruising is the ideal way to admire the scenery of the Douro river. The Douro flows from Northern Central Spain to Porto and the region is truly enchanting. These cruises will cater to all tastes and ensure that you experience the very best of this wonderful part of Portugal. Ponte Luis 1 Bridge - One of the most iconic and recognisable structures in all of Porto, the Ponte Luis 1 Bridge offers visitors the most scenic views of both Porto and Vila Nova de Gaia. If you choose to cross the river to Vila Nova de Gaia, there are plenty of port cellars that can be visited and toured. 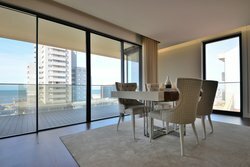 Why Buy Properties in Porto? The growing appeal of Porto as a weekend destination, thanks to cheap flights, is encouraging buyers to contemplate city life instead. The surge in popularity Porto is currently experiencing is likely to continue, raising the demand for properties in the region. Investing in property within Porto could be a wise move as property values are likely to soon increase. 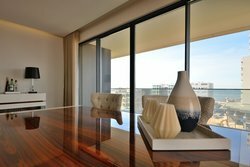 A wide range of properties are available throughout the region of Porto. Close to the city centre you can expect to find a selection of smaller traditional houses and apartments available. As you start to move away from the city centre and larger contemporary villas, modern apartment complexes with swimming pools and a plots of land become available. Some of the most popular places to buy properties in Porto include the beach town of Foz do Douro, Vila Nova de Gaia and Aveiro and of course the city centre.